Tania Michele: Orlando Holiday Diary: Day 14 - Mini Golf & Fantasmic! 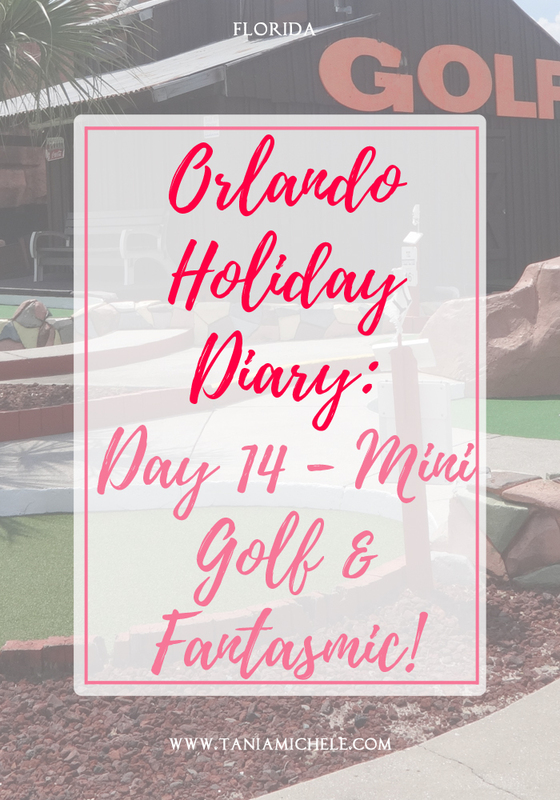 Orlando Holiday Diary: Day 14 - Mini Golf & Fantasmic! We decided to have a relaxed Saturday away from the parks, so today was a quite one. 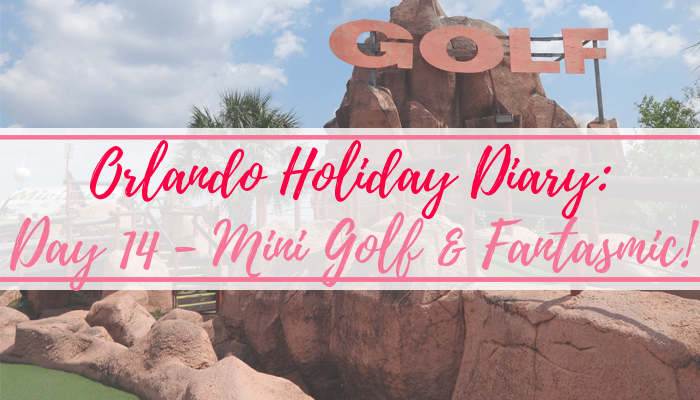 We had a long swim in the pool in the morning, before heading off to a mini golf course just down the road from where we were staying. There were two 18 hole courses, which we did in just under 3 hours - in 33 degree heat - I was melting! Dad, of course, won both of the games we played! After we were done, we headed over to Applebee's for an early dinner / late lunch. It was delicious as always, and definitely a place to eat if you're super hungry. Then we went to Walmart to get some food and drink for the villa, and got back in the pool! While we were swimming about, we were talking about the shows at the Disney Parks that we hadn't seen yet, and decided we wanted to see Fantasmic when it was next on at Hollywood Studios. After a quick shower, I saw that the show was on that night, so booked us three fastpasses for the show, so we'd be able to get there a little early to get some decent seats. Sorry the pics are a bit naff - I am beyone useless at nighttime pictures! It was a really good show, and I loved getting to see all of the Disney characters come together for the show. 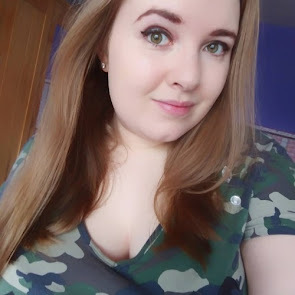 It took over an hour to get out of the arena and back to the main stretch of road, so we dodged into a few shops to get a few things so the queues could go down a little before we headed back home. Sadly as we were leaving Fantasmic, the Star Wars show was starting, but we couldn't move out of the arena to see it in time. Is Fantasmic based on Fantasia? I can only imagine from looking at the pic of Mickey. Looks fun though.